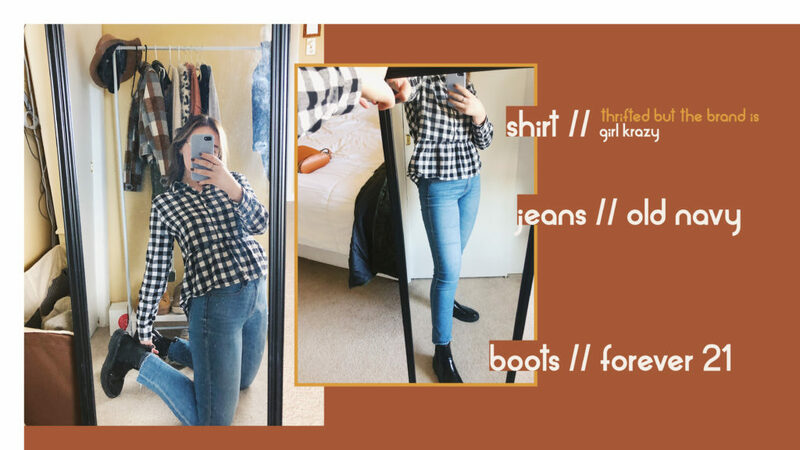 Here it is, whether you want it or not, the first of many – my top three outfits of the month! I’m not trying to say I know everything about trends and fashion. 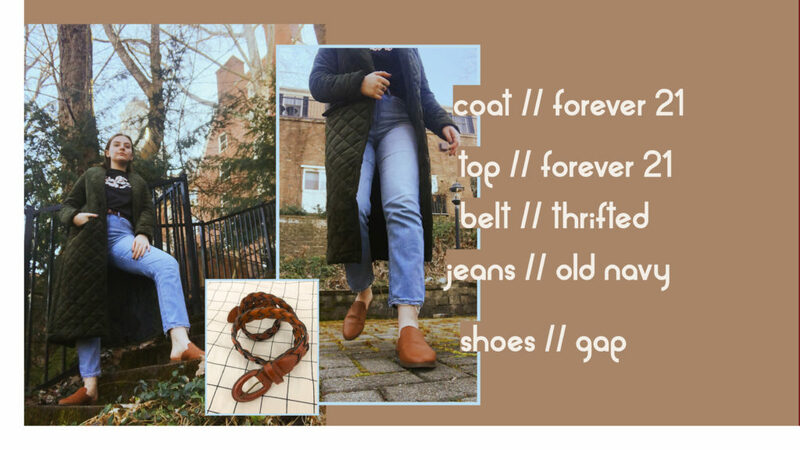 I love learning about other people’s personal style to help mine grow and expand. 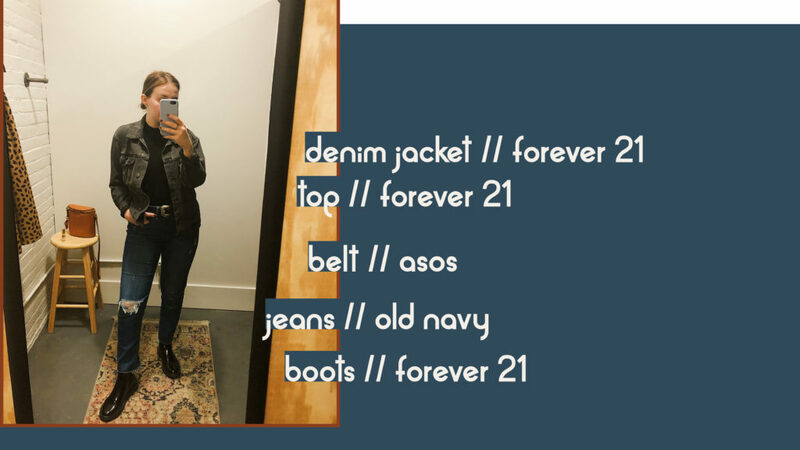 Sharing my top three favorite outfits each month will hopefully give you a new perspective or inspiration for a new combination to try. Enjoy! Plus, there’s a bonus outfit from a photoshoot I did with a friend who is a talented photographer. I have been a sucker for this buffalo plaid pattern for years, so when I found this shirt recently I was thrilled. This pattern gives me slight gingham vibes, which is heavily associate with spring, so it felt like an appropriate transition piece for a mid-March day. I was feeling pretty sassy this day apparently. I think my sassy persona is a badass biker chick. Regardless, you can’t beat a good denim tuxedo paired with a cool belt. Also, these boots were worn with the previous outfit too. They are so comfortable, and they go with every outfit. The long coat trend started this past fall, but I never got around to buying one until January. Once the temperature warmed up a little bit, I finally got to wear this coat. It’s not super warm, so it’s definitely a style piece as opposed to a functional one. I found the belt at a Goodwill, and it reminded me of wicker furniture (a trendy topic in the interior décor world right now) which I love. This bonus outfit was worn for a photoshoot with a friend, Sean, who is a talented photographer (check him out on Instagram @yuan.1990). The concept was basically a girl being stood up at a diner, and it was so much fun! I love doing photoshoots because they give me a chance to put together an outfit that is more editorial (one that I wouldn’t wear on an everyday basis). I wasn’t sure if I would like the red shirt with the emerald green pants, but I think the outfit turned out great! I hope you enjoyed! Stay tuned for next month’s instalment. BObviously there is a difference between a cheetah and a leopard, but their coat patterns have been frequently confused in fashion lately. Cheetah print is made up of small black spots and leopard print consists of what are referred to as rosettes, which are rose-like shapes with a lighter color in the center. Regardless of which pattern you choose they are so stylish right now. Patterns in general are a simple way to spice up an outfit. I just recently starting investing in cheetah and leopard prints, but I’ve already accumulated so much. 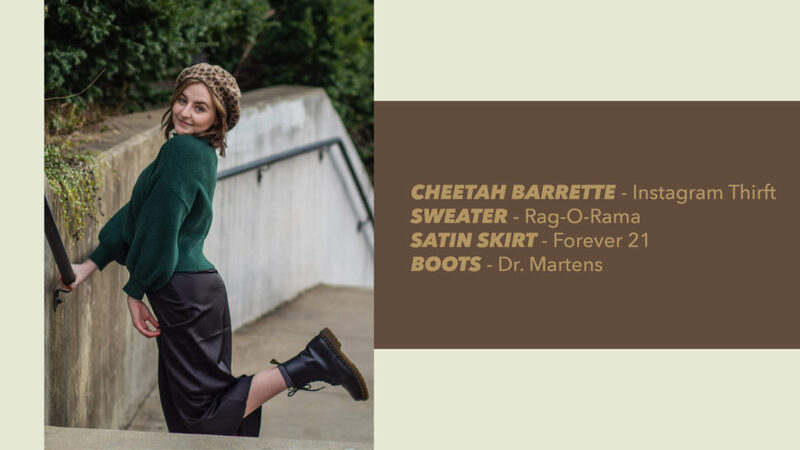 The outfits below include some of my favorite pieces, but I also love my cheetah sweater because it’s easy to throw on with jeans and a white tee. Without the hat, this outfit is still a nice combination of materials and neutral colors, but the hat adds an interesting focal point. 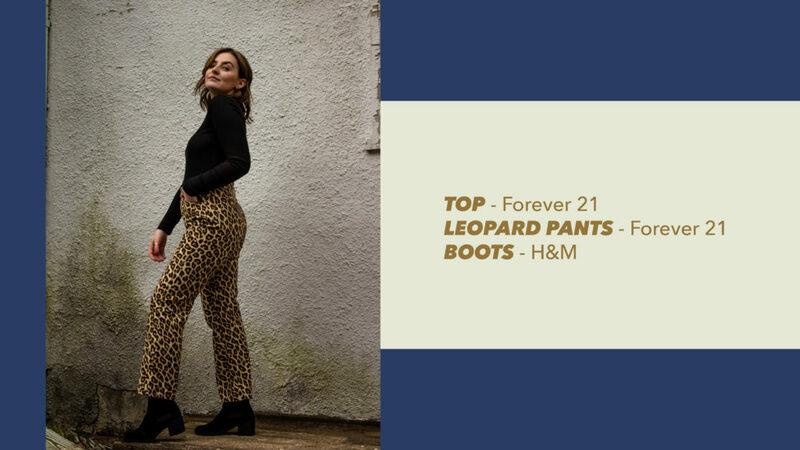 Jeans and a black shirt wouldn’t look as fun as the cheetah pants do in this outfit! This collared button down complimented my vintage jeans so nicely for a casual yet stylish look. Although animal prints were a fresh trend last fall, I think they are a timeless trend. I like incorporating nature into my style, and animal prints are an easy way to do that. 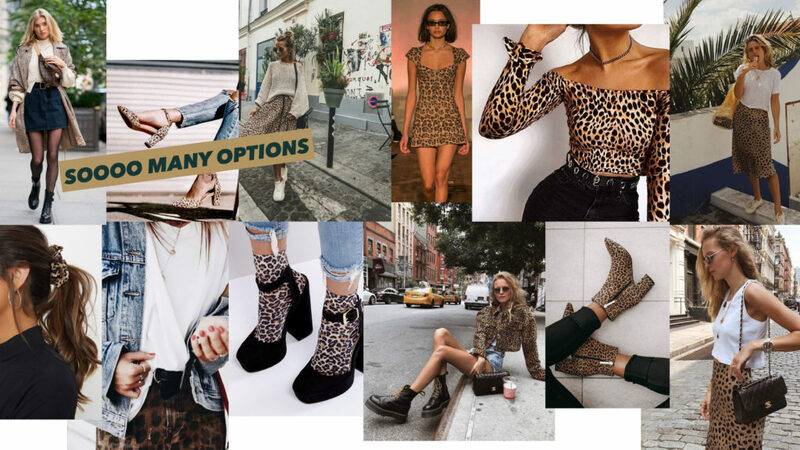 Regardless of the season you can rock animal prints! 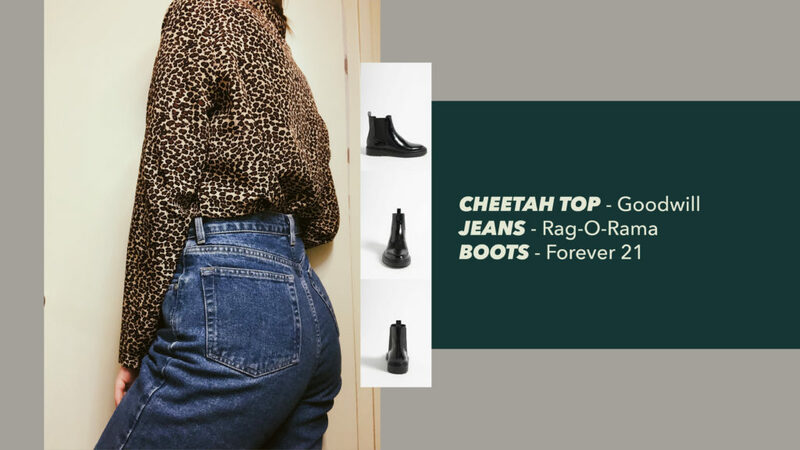 No matter which item in your outfit is cheetah or leopard print, it’s going to step your outfit game up a notch. I think my next printed purchase will be some accessories. I’m loving the scruniche and the socks! I encourage everyone to try out this trend; it’ll make you feel so sassy, and who doesn’t want that!